The far coast offers a range of sport fishing opportunities at almost all times of the year. Whether you're seeking mid-summer salmon & halibut, or early Autumn coho & ling cod, WardoWest will have the local knowledge and expertise to ensure your fishing adventure is a success. Want to learn more? We've compiled information on the most common sportfishing species below. There are a range of different Demersal and Pelagic fish species off the Pacific coast of Clayoquot Sound. The table below provides information on the best fishing seasons for each species based on the previous year. 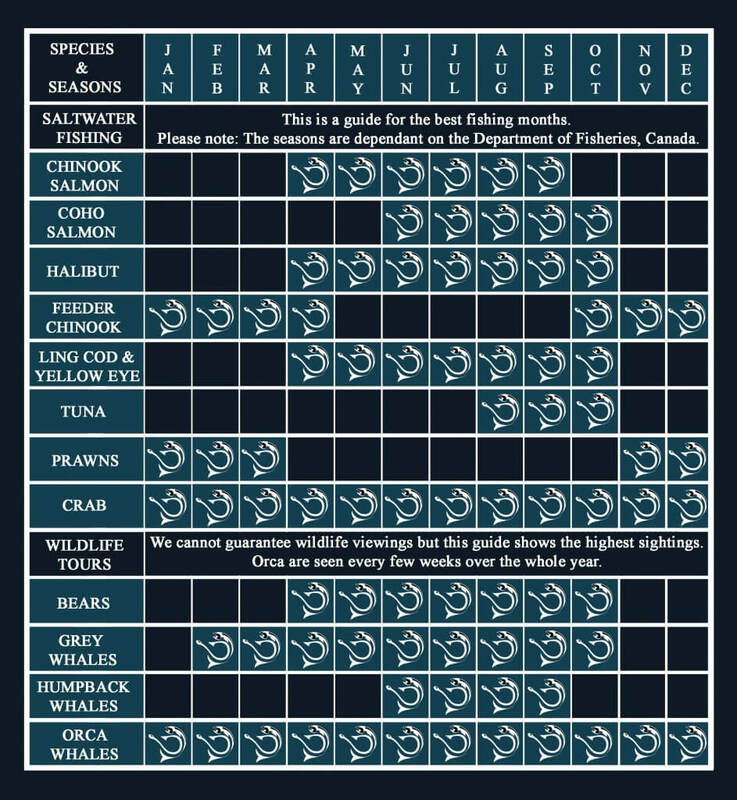 Please note that the table offers our perspectives on the best fishing months in Tofino, however, it is the Canadian Department of Fisheries that ultimately decides the fishing season start and duration for every fish species each year, with strict enforcement on the catch and carry home limits for each species too.